Among China asphalt batching plant manufacturers, there are so many well-known manufacturers for selecting. Therefore, it is a significant decision to choose an asphalt mix plant manufacturer correctly. The option of manufacturer can directly affect the quality of asphalt plant, even influencing the service life of equipment and construction schedule. After all, investing in one of these brilliant asphalt plants for sale is definitely an expensive proposition. Therefore,it is very important ensure that you are expending money wisely in order that you get a good return on your investment. 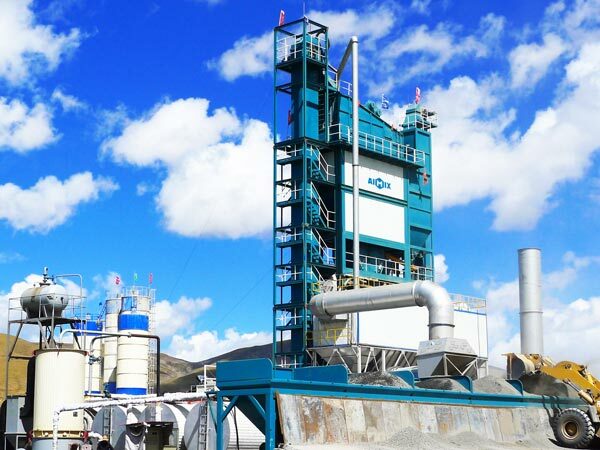 Aimix Group, as one of China well-known famous asphalt plant manufacturers, can provide various types asphalt mixing plants. We try our best to optimize the asphalt mixing equipment and improve manufacturing technology to satisfy the demands of market. Besides, the products Aimix manufacturer offered are well-received by customers. We have played important roles in the China asphalt batching mix plant manufacturers. The excellent manufacturing laid a solid foundation for asphalt mixing plants exporting. It is a professional and comprehensive machinery manufacturing enterprise, which has owned more than 30 years’ manufacturing history. It integrates research and development, manufacturing, installation, debugging, sales and service together. We are specified in the asphalt plants and Aimix has attain many honors and passed the quality assurance system. It has largest scale and most reasonable price in the industry. Aimix manufacturer can promise to provide high quality products. DHB series drum mobile asphalt mixing plants are with capacities ranging from 20tph to 80tph. 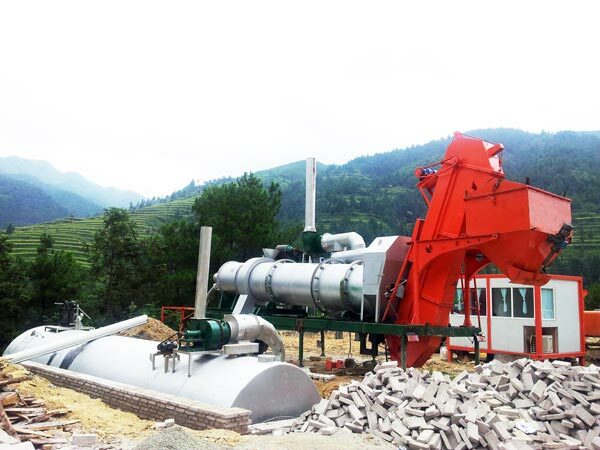 The drum mobile asphalt mixing plant can produce even asphalt mixture continuously. The continuous drum type has the design of integrated with drying drum and mixing drum, which simplifies the production processes and reduce the customers’ cost. What’s more, the DHB series drum asphalt mixing plant is created in container units with modular design and compact structure, which can realize quick installation and convenient transportation. Alternative fuel burners with high thermal efficiency can control the temperature fast. The flame can be adjusted flexibly according to the outlet temperature. The adoption of the weighing sensor, secondary metering and automatic compensation function can ensure accurate metering. The duel computer control can implement formula storage. The humanization operating interface can monitor the working conditions clearly at a glance. The QLBY series has production capacity from 10tpth to 80tph. The suitable capacity can satisfy various construction sites. The mobile asphalt plant for sale can achieve easy sites converting. The machine has optional components, including water dust collector, baghouse dust collector, control room and bitumen heating tank. That can reduce investment in some degree. The equipped failure diagnosis device can rule out breakdowns in time. Besides, PLC programmable control system and touching screen operations make convenient operation and maintenance. .The LB series stationary asphalt mixing plant own large production capacity about 40tph to 320tph. The stable performance assures the high productivity. The components adopt frequency controlling devices. The processes can be controlled and adjusted in synchronized proportion. The pneumatic components adopt FESTO brands with reliable performance and long service life. But what should you consider when opting for your ideal asphalt plant manufacturer? The following tips you can refer to when making decision. A company’s strength matters a lot, which may affect the grades of the service and products that they can provide. If a company don’t have strong strength, it will not offer high quality product. Besides, they don’t have strong competitiveness in the industry. On the contrary, once they have strong strength, they can respond on excellent equipment and best service. A few minutes of research should give you a good idea on which manufacturer can be trusted. 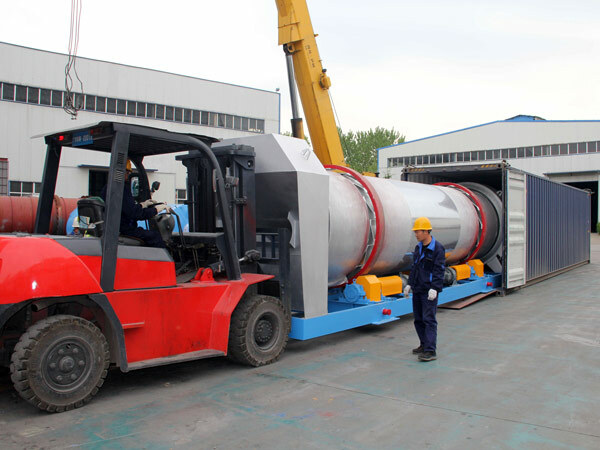 When you work with an asphalt mixing plant supplier, you should realize that they have positive respond on your business. They must return any telephone calls or email promptly, taking time to answer inquiries that you have sent. They ought to go far beyond to make sure that you are satisfied with your purchase. By deciding on a manufacturer that puts their potential customers first, it is possible to enhance the chances of having the support that you desire. 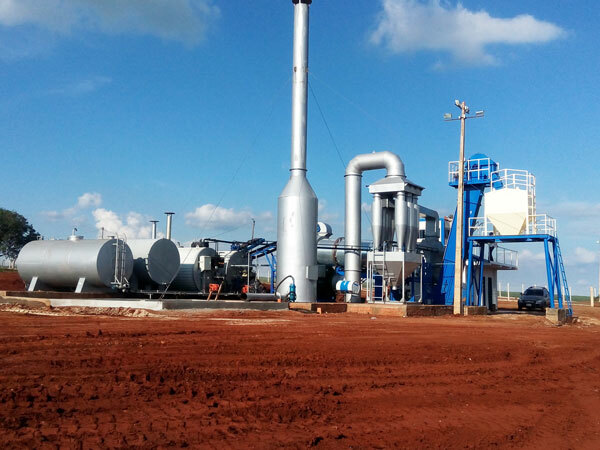 Whether you need installation guidance or perhaps you have troubles with asphalt mixing plant later on, knowing that one can contact earlier for help can make real difference. As well every thing goes, the last factor you have to think about is price. As with every deal for your business, you need to make sure that it is deserved. The corporation should be based on consulting results. More importantly, it should be in accordance with industry standard. But that’s not mean that the manufacturer will offer you the cheapest asphalt batching plant price. 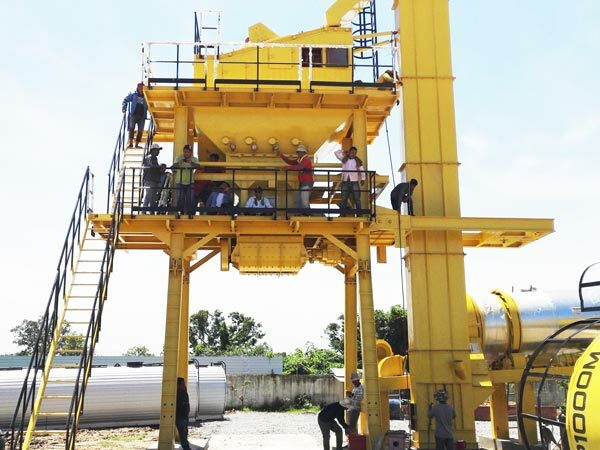 Instead, you should balance the price of asphalt batching plant with its using quality that you are really getting a lot. It seems that speeding a little more money on a high quality asphalt plant from well-received asphalt mixing plant manufacturers will save money on much continuous maintenance. In summary, when you opt for asphalt mixing plant manufacturers, it is essential to consider you options carefully. In addition, you must do researches on various manufacturers who is well-respected in the industry. Before you invest your money, you need to contact the manufacturer directly to make certain that they can respond quickly to your troublesome questions. In the last, you need do price comparison to ensure that you will get best values on your asphalt plant that meets or exceeds your expectations.